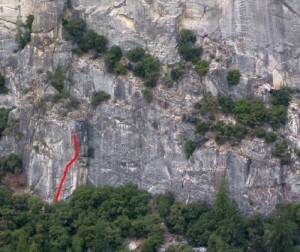 A wandering route through huge knobs, this is rarely done since the classic arête route Knuckleheads was established. Which SuperTopo guidebooks include a topo for Trough of Justice? A great finger and hand crack. Nurdle is a little known classic.